Our unique “one of a kind” handmade journal is made from special “Bageta” leather that has been processed the same way for over 400 years.Each journal is filled with the highest quality paper available. Scroll over the pictures to see the intricate work and attention to detail that forms the binding of your hand crafted work of art. Look at the locking clasp that can keep your most treasured thoughts secure. 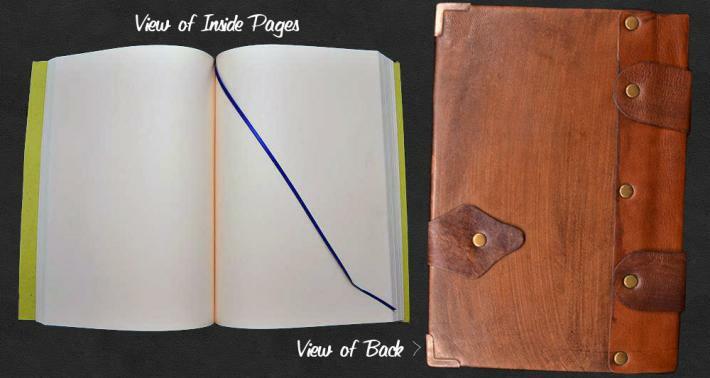 See the different emblems that are attached to each journal to give it a more personalized feel. Look through our different color and emblem options to find the one that fits you best. Our journals make great gifts for any occasion. Whether it is for the budding artist or next great novelist, feel confident that you are getting the highest quality product available. Your gift will be truly unique to whoever receives it or just keep one for yourself. 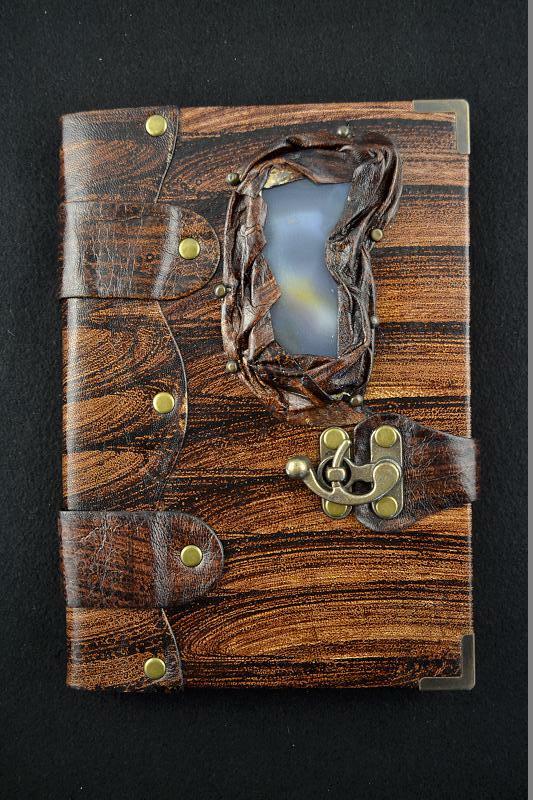 Size and number of pages are approximate as each journal is a handmade work of art. Color variations and emblem placement may vary slightly.